Drinks reception music, unique entertainment ideas and client testimonials, let’s see what our clients say? This is a big thank you to audio networks for their service regarding drummers for my wedding which was on the 20th of April 2012 At the Killeshin hotel Portlaoise..But most importantly Marc and Niall were absolutely fantastic and did a wonderful job..As we happen to be running late they still never let us down and they gave our guests a great reception on arrival…They started an atmosphere that continued after they left..Myself and my now husband got more then we expected. Every body is still complimenting them and our videographer said what a perfect performance they gave us…From the bottom of our hearts we would recommend them for any event as once again I say they were Fantastic..
“A Brighter Future Ball” Dear All, I am writing to thank you so very much for the wonderful entertainment you provided at the Ball. Everyone really enjoyed it. Your singing was amazing! We could not have made our event such a success without people such as yourselves and we are extremely grateful. Keep up the good work! From: Keith Barry International Magician. I have traveled all over the world entertaining people and I’ve seen every type of act you could imagine! But tonight, I believe we have just witnessed something very special, a truly world class performance delivered by world class performers.I am not kidding you, they made the hair on the back of my neck stand up! and that very rarely happens to me.. Absolutely Amazing! 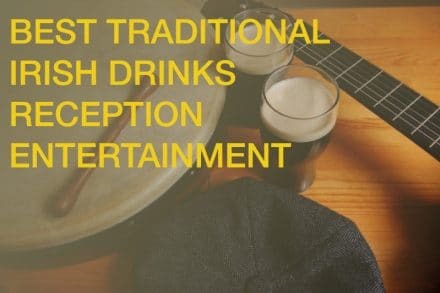 At , Drinks reception music.ie We always deliver on our promise for the best Irish Entertainers for corporate events and wedding receptions. Let us be your first call, you won’t be disappointed by our friendly advice by calling + 353 1 285 10 45.